What’s the Difference Between A SoG And A ScrOG? Because the growing community is so big, there are dozens and dozens of growing methods and tips. Some are more effective than others. Two of the most popular techniques are SoG and ScrOG, and while they may sound very similar, they're very different. SoG stands for Sea of Green. It's a method that allows you to grow quickly, and the plants that result are smaller, but you can also grow more of them. These smaller plants are perfect for those who have height restrictions. Essentially, your plants are planted in high densities, tightly packed together so you can take full advantage of whatever space you have. 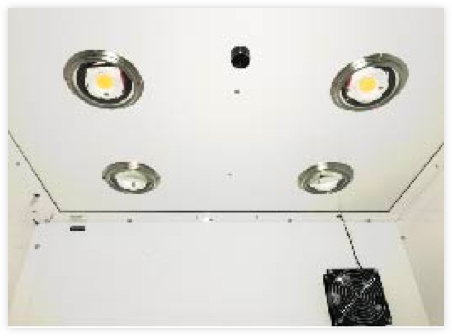 Also, yields per watt are generally high because you're not wasting any space, meaning that all the space under your high-intensity grow lights isn't wasted. Another great thing about employing SoG is that your crops can be harvested quickly because of the fact that you only need a small amount of time for vegetative growth. After a few days, your plants will be strong enough to enter the bud phase. Finally, all of your plants will be top buds, meaning trimming will be easier. Of course, because SoG is such a specific method, it also requires some particular care. A few things to consider include: making sure that there aren't any hotspots in your space and raise them higher than normal so that your plants don't burn; keep an eye on watering, as you don't want to drown your little guys; don't use too much fertilizer; and regularly prune at least twice during the budding cycle. ScrOG stands for Screen of Green. This method uses a horizontal screen/grid/mesh over top of your plants to hold all of your branches in place, filling whatever space you have. You’re limiting the height of your plants by tucking the branches as they grow underneath the screen so they fill the empty areas of the canopy. This trains the branches to grow within that space. To start the flowering stage, you've got to let the plant grow past the screen so it can train itself to grow a specific way around the screen, forming an even canopy. Your plants will push vertically up the screen. Be sure to move the leaves to the bottom of the net so your light source can reach the buds. It's similar to SoG in the sense that you’re maximizing the space that you do have, increasing your efficiency. So that's it. Evidently, the differences between ScroG and SoG aren't enormous, but they are different things, and with some modifications, can serve different purposes. You are maximizing the space that you do have, increasing your efficiency. What’s TDS and What Is It Good For? How Do I Use Nutrients and What Do They Do?